You'll never lose your dongle again. If you own an iPhone 7, you now know the pains of having to carry around a dongle. The thing about dongles is they’re terribly easy to use. 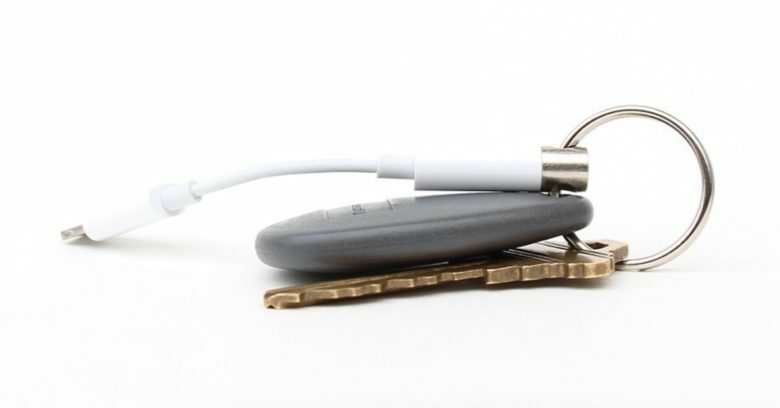 So instead having to worry if you brought your adapter today, one clever Apple fans has made carrying a dongle as easy remembering where your keys are. The tiny little adapter is aptly called Uncourage — a not-so-subtle dig at Apple’s claim that it took courage to kill the headphone jack. Basically it’s just the male tip of a headphone cable with a hole drilled through it. Simple in nature and cheap in price. Uncourage allows iPhone users to connect their 3.5mm to Lightning adapters to it. The adapter can then be added to your keychain so it goes with you everywhere. It’s invaluable for those that don’t want to purchase Lightning headphones, or if you like to DJ on friends’ aux cords. Let’s face it, no one else is going to have Lightning adapter right now if you need one. So for just $6, Uncourage is pretty much a no-brainer for every iPhone 7 owner. Next year’s iPhone should come with this marvelous adapter keychain in the box.